The Israeli occupation forces (IOF) on Wednesday evening cold-bloodedly killed a Palestinian young man and wounded three others as they were traveling aboard a car in Bethlehem, south of the West Bank. 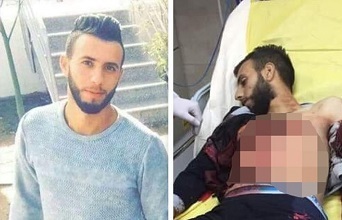 The Palestinian health ministry confirmed the death of 28-year-old Ahmed Manasera, from Wadi Fukin village in Bethlehem, after he suffered bullet injuries in his chest and other areas of his body. Three other citizens, including a woman, suffered bullet injuries, one seriously, in the shooting attack. According to local sources, Israeli soldiers intensively opened fire at a Palestinian car near an-Nashash checkpoint at the southern entrance to al-Khader town, killing Manasera and injuring three others, including a man and his wife.